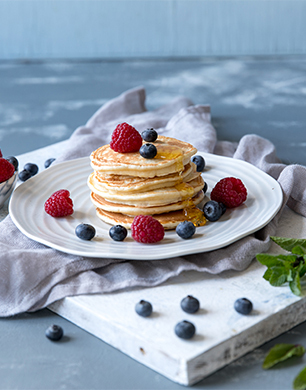 Serve these spelt pancakes warm with fresh or stewed fruit and drizzled with your favourite syrup. We used fresh summer berries and golden syrup, what a treat! Pour some batter into the pan to make 10cm/4” circles and cook over a medium heat.